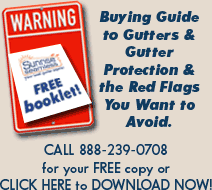 We at Sunrise Seamless are your local gutter experts. 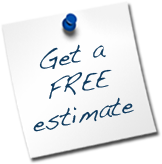 Well designed, free-flowing gutters protect your most valuable asset - your home. Since 1989 we’ve been protecting homes like yours from water damage due to faulty or clogged gutters. 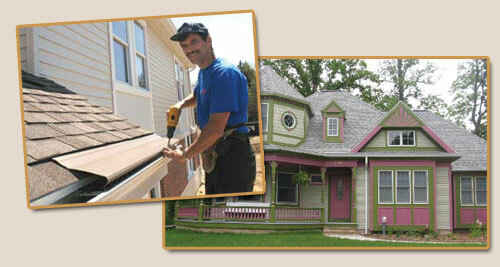 Gutter protection is a must on many homes. We have several products and price ranges to suit your needs and keep your gutters flowing freely. After all, you’ve plenty of better things to do with your time. Check out our Gutter Topper and Leaf Terminator. Steve and Toni started Sunrise Seamless in 1989. Ladder falls are the second most common accident. The destructive force of water, snow, and ice should not be underestimated.